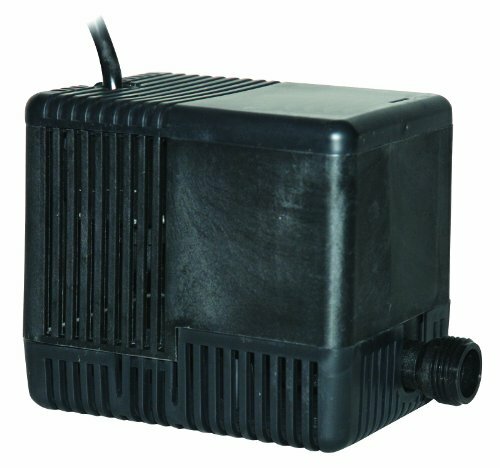 The Little Giant automatic hydroponic pump moves 500 gallons per minute of water. It is ideal for automatic operation and has a removable intake screen for easy cleaning and maintenance. It is built with a corrosion-resistant body, specifically designed for submersible usage and works in as low as 2.4 Inch of water. It has a 3/4 inch garden hose connection and 25 foot power cord. If, after 30 days, you are having a problem with your Little Giant, Franklin, or Red Lion product, call the Franklin Electric Tech Support Team at 888-956-0000 for Troubleshooting and Warranty Instructions. The Tech Support Team is available M-F from 7:00am-4:30pm CST. If you have any questions about this product by Little Giant Outdoor Living, contact us by completing and submitting the form below. If you are looking for a specif part number, please include it with your message.